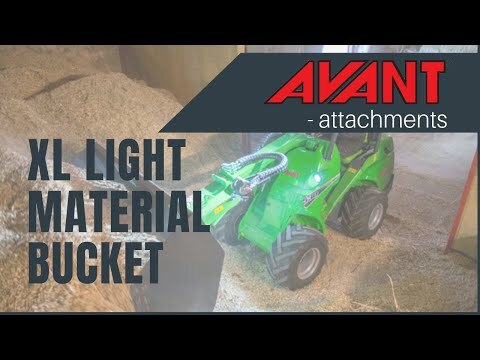 XL Light Material Bucket - Reach It! - Move It! - Crush It! XL light material bucket is a large capacity bucket, best suited to Avant 600 and 700 series. It is intended for loading and transporting of light materials like wood chips, mulch, snow etc. There are no reinforcement plates inside the bucket which would interfere when loading and emptying, and the sides open forward in a slight angle, which guarantees easy and complete emptying of all kinds of materials and in difficult conditions also.